Esotericists celebrate Wesak as inclusive of the Christ, the World Teacher. Eastern Buddhist traditions celebrate Wesak (Saga Dawa – this full moon) in honor of the Teacher and a Teaching of awareness. The Buddha’s words and message stand undefiled and unchanged 2600 years later. Those who meditated on his teaching created their own, but always came back to source: the Buddha’s original teachings. This meditation is an invitation not Buddhist in orientation, nor Christ-centered. Its power is in its simplicity. Egolessness is the core ingredient necessary to experience compassion and BE it in the world. The Teacher or teachers in our life who point us in that direction are living compassion and we are most fortunate. We bow to the Christ, World Teacher, because he bowed to his teacher, Lord Buddha. 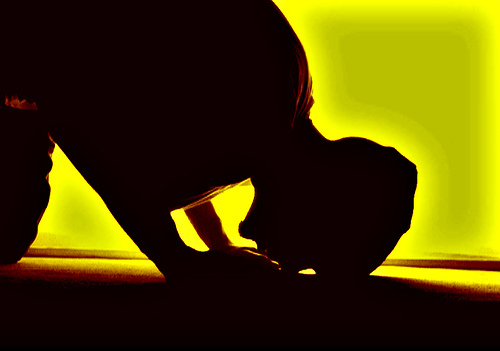 We bow because, in humility, we can receive and learn to BE simple, humble compassion. This entry was posted in Mahayana and tagged Buddha, Christ, Egolessness, meditation, Saga Dawa, Wesak. Bookmark the permalink. Thanks for sharing this, and this approach to Wesak.